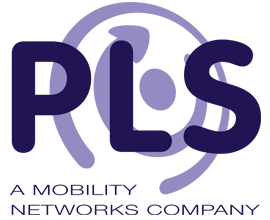 Mobility Networks’ access solutions are trusted worldwide to deliver utmost usability, reliability and safety. The Flexiwinch from Mobility Networks reflects these qualities as it provides an effective and controlled means to pull a wheelchair and occupant into an adapted vehicle. This powered solution consists of a motor unit fixed to the vehicle flooring that houses a retractable belt. This belt has universal karabiners which easily attach to all models of wheelchair. Powered assistance can then be deployed in a controlled manner when loading a disabled passenger. The Flexiwinch encompasses a quiet and efficient winching mechanism that is operated via an ergonomic roaming handset. The Flexiwinch has intelligent ‘soft-start’ technology which ensures the wheelchair passenger’s experience is pleasant as they are smoothly manoeuvred into the vehicle. Anti-roll-back sensors stop any rear movement if winching is halted during the loading procedure. Safety is further enhanced by the Flexiwinch’s ability to cease winching operation if any obstructions are sensed. Combined with an anti-overload sensor, the Flexiwinch from Mobility Networks is the solution for strain-free loading of wheelchair passengers with peace of mind.